IMG_4328, originally uploaded by espeedy123. 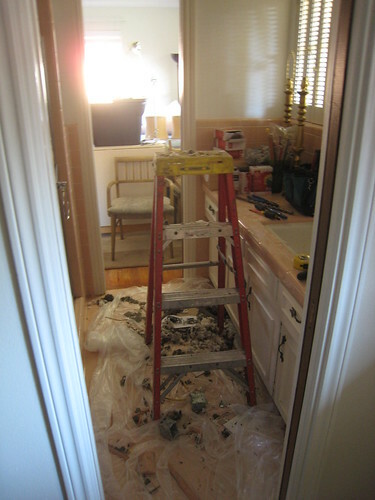 Here is what the old pink guest bathroom looked like yesterday. The electrician was installing a new bath vent/heat fan. This bathroom already has a ton of junk in it from the kitchen, waiting for new cabinets. I think I underestimated the mess that would ensue during renovations. I am on my third dumpster now. This entry was posted in Inside. Bookmark the permalink.